The six national award wins of Infinity Partnership have been recognised at the Scottish Parliament. 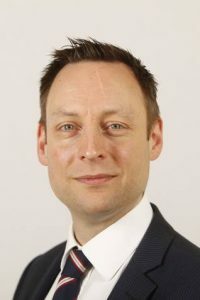 Liam Kerr, a Scottish Conservative and Unionist Member of the Scottish Parliament for the North East Scotland region, submitted a parliamentary motion to highlight the success of Infinity, which landed the accountancy awards at prestigious events in London in the past four weeks. The statement goes to on acknowledge that the awards ceremony recognises individuals and accountancy practices thriving in the digital economy, follows up on success at other awards this year and acknowledges the hard work and professionalism of all Infinity employees. As well as the four wins this month at the IRIS Awards, Infinity won at the 2018 British Accountancy Awards for the fourth year in a row, winning Independent Firm of the Year (Scotland, Northern Ireland and North England), and Small Practice of the Year at the 2018 Accounting Excellence Awards. Both these award ceremonies took place last month. Infinity Partnership is an award-winning, multi-disciplined accountancy and business advisory practice, with a proactive approach to customer service. Copyright Infinity Partnership Ltd. All Rights Reserved.